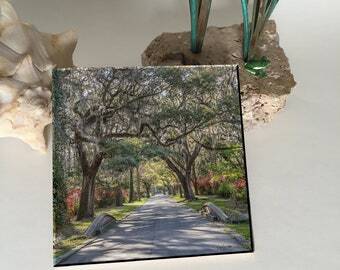 These coasters have high resolution photographs sublimation printed on specially treated, high gloss ceramic tiles. 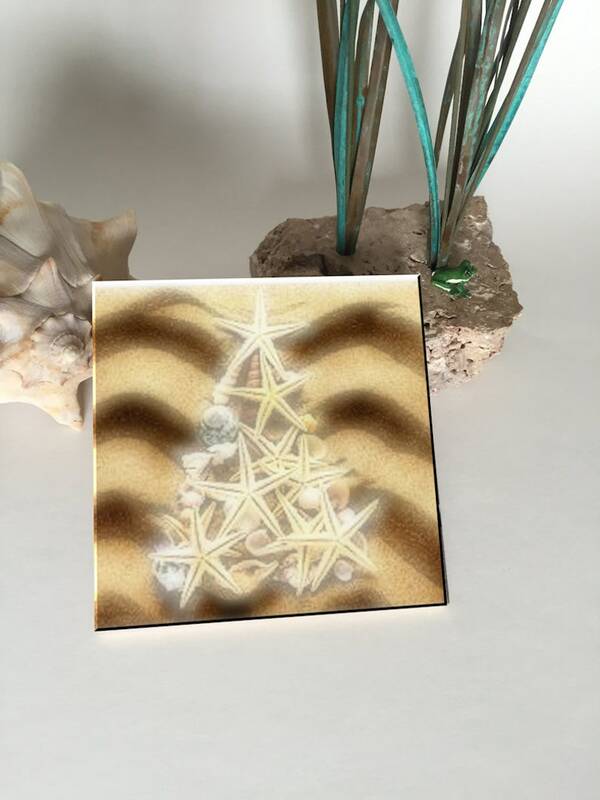 They measure 4.25x4.25" square and have a cork back to help protect your furniture. Although individually priced, we will discount set of 4 or more (mix or match). Please contact us before purchasing. While not absorbent (you can't print high-res photos on a rock), they are perfectly functional and a beautiful addition to your home decor. Some of our customers choose to display these small 'works of art' on our 3D printed easels (sold separately). We would be happy to print YOUR photographs on these or any of our products. Just send a digital copy to saltwaterceramics [!at] gmail.com. Please include the number and size of the items you need. Also, please ask us about special pricing for your organizations next fund raiser.